← Not All Those Who Wander Are Lost! I am grateful to two young friends from my alumni association who gave me a grand and unforgettable time yesterday. 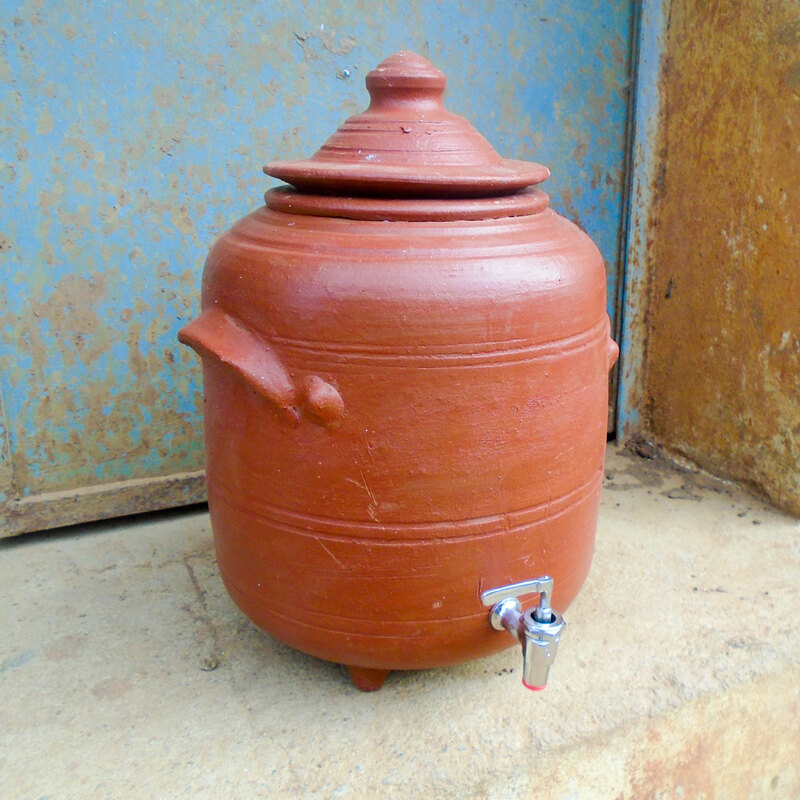 Among the many things that fell by the wayside due to the advent of the refrigerator and frequent transfers, was the use of clay pots for storing drinking water in our home. One of the most refreshing drinks in India’s hot climate, somehow I lost this wonderful drink many decades ago. I had gone to two young friends places for lunch and post lunch meeting yesterday. The former was another journey down memory lane as I was entertained with some old fashioned food that my mother used to make and talks in my mother tongue Tamil with some folk of my age and also some entertaining discussions with two very smart young people about current affairs. In the bargain was included a cute young girl with the most unusual and charming Sanskrit name Trayi. Later with another young friend after a short journey in 41 Deg F heat, I was asked by him if I wanted water from a clay pot in preference to refrigerated water. I was zapped and I promptly agreed and I was given water from a clay flask, a completely new vessel for me. That water opened a flood of memories and I thanked my host profusely and he promptly arranged to get two bottles for me as gifts. 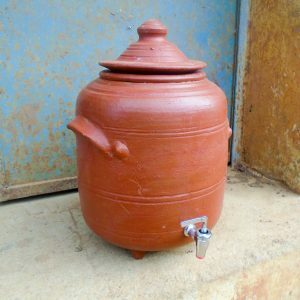 This is innovation at its best and I am impressed with the potter who has thought up this design for modern day use of a traditional vessel. 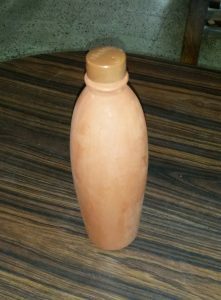 This entry was posted in Food, Friendship, Gratitude, India, Nostalgia and tagged Clay Pot, Clay water bottle, Tamil Cuisine, Trayi, Wikipedia. Bookmark the permalink. 9 Responses to A Productive Outing. Wow! Sounds like a wonderful day! It was indeed. Another remarkable day was earlier today about which I shall shortly write and post. another wonderful piece about life in India and the ‘thought’ that goes into everything and the resulting benefits. i am taking my time with the book about health and have been talking about it with the marine. he now wants a copy of it for himself. it’s good! I can keep writing about India for ever and ever Tammy. I am truly blessed to be living here with such great friends and family. I am glad that you and the Marine both are enjoying the book. I did. What a great day and lovely memories. Thank you for sharing! That it was and it continues to be great days even after that. I think that it will ease off on Monday only to revive back on Tuesday when I am scheduled to go to the movies. A clay flask sounds like an excellent idea, since I think it would be most difficult to carry a clay pot around for those times you want only a sip LOL! What a great day you had, and how wonderful of those young people to do those things for you! I still cannot get over the innovation of the flask. Yes, I am indeed very fortunate to have many such young people in my life who make it all possible.